The College curriculum has a high academic focus that challenges students and rewards a positive work ethic. This includes a well managed and continuous student assessment and feedback process, and we actively implement student work submission and work quality policies. Our dedicated literacy and numeracy programs are delivering excellent results across all year levels. An outstanding program of fostering personal development, happiness and future success is the hallmark of our approach to teaching and learning. This approach has been successful as shown by the College being ranked, by both parents and students, in the top ten per cent in the state. Students are expected to accept responsibility for their learning and a positive homework and individual support program encourages the highest standards of achievement in every activity. Students are encouraged to be involved in an active, team-orientated learning environment of mutual trust, respect and concern for others. 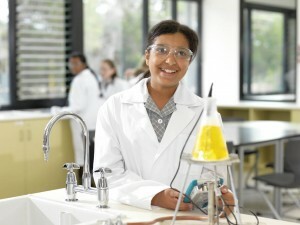 Committed teachers and exceptional facilities allow Mordialloc College to deliver challenging, diverse and individualised learning programs at each year level.